If you want to start selling your products or services in your own online store you will need to set up an e-commerce site to enable you to sell them effectively. There are many providers of e-commerce platforms that offer full sites and platforms that can integrate into your existing website as well as other channels such as social media. These e-commerce platforms can offer a fully integrated service or the ability to integrate with other service providers for other services that you will need such as payment gateways. Below we have looked at what some of the leading e-commerce platform providers have to offer. The table below gives a quick price comparison of the top UK providers for e-commerce platforms. * The facts and figures included here come from each company’s website and were accurate at the time of writing (December 2018) but may have since changed. Also, please keep in mind these may not be apples to apples comparisons as each provider offers different solutions. This guide should be used as a starting off point for more research on your part. Some of the features and benefits of EKM’s e-commerce platform. EKM claim to be the no.1 e-commerce provider in the UK and they offer a solution that is continuously being improved at no extra cost through their Evolution Mode which updates your website without impacting on you. EKM has a user-friendly website builder that has a wider selection of themes to choose from that can be easily adapted to create a personalised and effective website. They offer customers domain names if needed, secure servers to protect the website, built-in analytical facilities to help gain customer insights, and an inventory interface to manage your stock. Their marketing support and tools include SEO, email marketing and blogs. Some of the features and benefits of BigCommerce’s e-commerce platform. BigCommerce is a leading e-commerce platform provider that delivers website solutions for a wide range of businesses through their three tailored solutions. The Enterprise product offers advanced tools to manage your entire business. The Small Business product is designed to help increase sales and help smaller businesses to grow. The B2B product is designed for selling to other businesses and wholesale businesses. BigCommerce’s e-commerce platform enables you to customise your own site from templates or build a fully bespoke site. They offer a range of marketing support and conversion tools that will help promote your site and convert visits into sales. Their sites integrate with other sales channels and payment gateways. Some of the features and benefits of Shopify’s e-commerce platform. Shopify is a e-commerce platform that gives its users the ability to design a professional online shop that can be built quickly using their free themes. Building the site is easy with drag and drop functionality and customisation tools that allow you to alter the colours, fonts and add pictures. Their sites are also responsive and will work effectively across all devices. Shopify also provides many additional services that make their sites desirable with built-in SEO features and comprehensive dashboard which will help market your site and gain customer insights. The platform can also track your inventory and integrates with lots of payment gateways to accept payments or you can use Shopify’s own payment gateway. Some of the features and benefits of WooCommerce’s e-commerce platform. WooCommerce is a global e-commerce platform provider that has been designed to plugin into WordPress. It is a completely open source solution which allows limitless modifications so that you can fully control your site. They are so convinced that you will love their platform that they offer a 30-day money back guarantee. WooCommerce integrates with all aspects of e-commerce requirements to help create a complete e-business solution, this includes being able to use the most popular payment gateways and shipping agents. They offer a wide range of extensions and plugins to enhance your site that include both free and paid options. Some of the features and benefits of PrestaShop’s e-commerce platform. 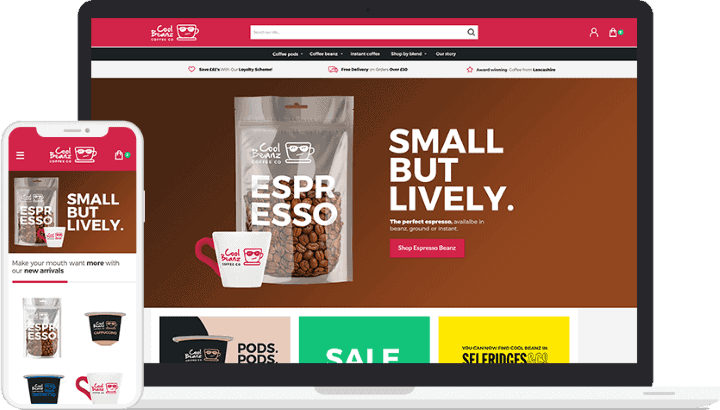 Prestashop is an e-commerce platform provider that offers a customisable web store that has a wide range of themes to choose from which allow you to select colours and designs as well as add your own logos and images. Prestashop allows you to sell internationally with their sites as you can present your site in different languages and accept payments in multiple currencies. You can also integrate a delivery cost calculator from your chosen shipping agents. You can also manage your transactions, products and customers through their analytical tools. They also provide support linking your site to social media and blogs to help attract customers to your site. Some of the features and benefits of Ecwid’s e-commerce platform. Ecwid is an e-commerce platform provider that offers a solution that integrates with all site building platforms including WordPress, Wix and Weebly. Their e-commerce solution also integrates with Facebook and Instagram to enable you to start selling through these social media channels. Ecwid’s design is simple and quick to build so that you can start selling almost straight away and its design is responsive and will work across all devices. Their platform offers gold standard security for peace of mind. As an international platform provider, you can expand outside the UK and be supported by Ecwid as they operate in 175 countries and over 50 languages. Some of the features and benefits of ShopWired’s e-commerce platform. ShopWired is an e-commerce platform that supports multiple channels to enable businesses to maximise their reach and customer base as they integrate with your website, eBay and Facebook and they will soon work with Amazon too. ShopWired’s e-commerce platform has an easy to use site builder that has a huge range of themes to choose from and customisable designs to help you create a site that works for your business. They offer reliable and secure hosting that is protected by top rated software and is PCI compliant. ShopWired’s offering includes access to sales and marketing tools as well as having a UK based support team. Some of the features and benefits of Volusion’s e-commerce platform. Volusion’s e-commerce platform is quick and easy to use and can build sites that are professional and effective with responsive themes that work across all devices. Their comprehensive site builder allows unlimited product options so that you can build a store that meets your needs. Volusion’s e-commerce platform integrates with a variety of apps and partner services to provide a solution that offers a complete service, these include FedEx, Amazon, McAfee and Stripe. They provide SEO support that helps your Google rankings and optimise your site which includes custom metadata, search-friendly URLs, sitemap indexing and editable Robots.txt file. Some of the features and benefits of Wix Stores’ e-commerce platform. Wix enables businesses to create their own online store from their vast repertoire of templates that will help create a professional and unique website. Their designs are customisable, and they are easily created through their drag and drop site builder functionality so you don’t need technical skills to build a great site. Wix’s e-commerce platform enables businesses to accept a wide range of payments which include credit cards and PayPal with 0% commission on your sales. They also enable customers to create coupons to send out to drive custom and offer the facility to manage them. They also help with tracking your orders, inventory and delivery costs with their customisable shipping rules. Some of the features and benefits of Squarespace’s e-commerce platform. Squarespace is a e-commerce platform provider who delivers an all-in-one solution for businesses that want to set up an online store and promote it through a variety of channels. They have won awards for their templates which allow you to create a professional site that will help sell your products. Squarespace offers their customers free and unlimited hosting that comes with high-level security and infrastructure that will grow with your business and protect it. They also offer 24/7 customer care that can be reached by email, live chat or webinars. Their marketing support also can help promote your business and drive additional traffic to your site. Some of the features and benefits of LemonStand’s e-commerce platform. LemonStand is an e-commerce platform provider that offers their customers flexibility and integration that helps create websites that are professional and effective. Their platform works with many front-end development platforms as well as integrating with over 100 well-known tools such as PayPal, QuickBooks, Google Analytics, FedEx and Mail Chimp which gives them a broader appeal. LemonStand offers open source themes that give greater flexibility and customisable checkouts to create unique websites. They support both retail and subscription businesses and can offer both solutions to a single site. They also support over 95 payment gateways which they charge no transaction fees on. Please note we have affiliate relationships with almost all the companies above. That means they pay us a commission if you choose to buy their services after clicking on a link from this website. This comes at no cost to you, but we thought you should know. We may also be paid a fee if you use the Expert Market quote form at the top of this page.